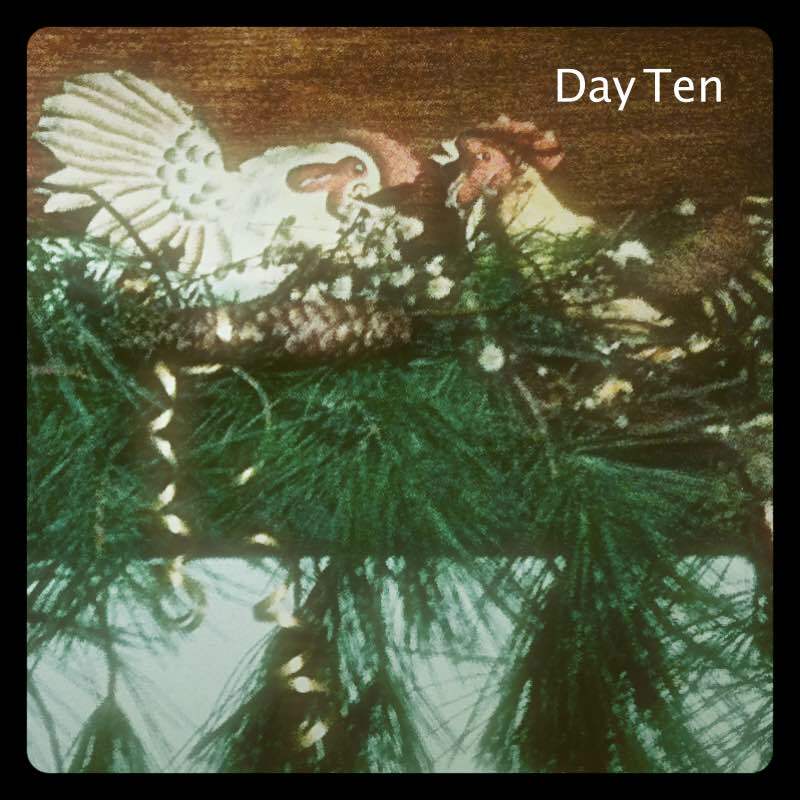 Hello my little swirling dancing snowflakes, welcome to Day Ten. Today’s topic is joy. And not having it. This time of year there is a lot of pressure to be fully participatory and conform our experience of events to society’s norms- to be joyous, appreciative, to “make memories”, to not bring anybody else down. This feels very fluid and natural when you’re feeling it, but when you’re not- its incendiary, full of potential for misunderstandings and resentment and guilt. And some of us aren’t wired to feel joy on command. And some of us can only hide it to a certain extent. I think its great, to provide yourself some joy kindling, to expose yourself to stuff you know normally makes you happy. But keep the pressure to a minimum and keep in mind that just being conscious often provides many unexpected opportunities for joy. Your bliss doesn’t have to be everybody’s bliss, and other people will have to settle for you being happy for them. Joy needs air to breathe. Something I’ve noticed lately is that joy likes a witness. Joy needs someone to bring refreshments, someone to navigate, someone to take pictures, someone to accompany her to the ladies room- essentially to be joy’s copilot. If you can’t quite BE joy, try serving and supporting joy. And she’ll probably still be badgering you to get out on the dance floor because joy knows that you are not so consistent as you think you are.